(Nanowerk News) Northwestern University’s International Institute for Nanotechnology (IIN) has announced the establishment of the $250,000 Kabiller Prize in Nanoscience and Nanomedicine and the $10,000 Kabiller Young Investigator Award in Nanoscience and Nanomedicine. David G. Kabiller The inaugural international prizes will be awarded in September 2015 and every other year thereafter. The deadline for nominations for the Kabiller Prize and Young Investigator Award is June 22, 2015. Details are available on the IIN website. The Kabiller Prize will recognize individuals who have made the most significant contributions to the field of nanotechnology and its application to medicine and biology. The Kabiller Young Investigator Award will recognize young researchers who have made a recent groundbreaking discovery with the potential to make a lasting impact in the same arena. Nanoscience is the study of the chemical and physical consequences of miniaturization, and nanotechnology, often aimed at tackling important societal problems, is the development of materials and devices based upon such consequences. There is increasing optimism that nanotechnology applied to medicine and biology will bring life-changing advances in the diagnosis, treatment and prevention of disease. The IIN at Northwestern is a global leader in the field of nanotechnology in general and nanomedicine in particular. Through a generous donation from Northwestern trustee David G. Kabiller, the IIN is establishing the biennial Kabiller Prize and the Kabiller Young Investigator Award. 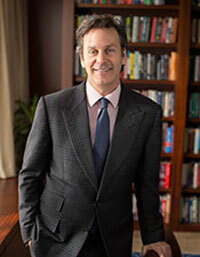 Kabiller is co-founder of AQR Capital Management, a global investment management firm in Greenwich, Connecticut, distinguished for its emphasis on ideas and research. He is an entrepreneur dedicated to supporting innovative research and technology and has been an active supporter of the cross-disciplinary field of nanotechnology. The recipients of the inaugural Kabiller Prize and Kabiller Young Investigator Award will be honored at an awards banquet Sept. 29 in Chicago and recognized at the 2015 IIN Symposium, which will include talks from prestigious speakers such as 2014 Nobel Prize in Chemistry winner William E. Moerner. Nominations for the Kabiller Prize and the Kabiller Young Investigator Award will be reviewed and winners chosen by a selection committee made up of a group of world-renowned experts in nanotechnology and its application to the field of medicine and biology. The deadline for nominations for the Kabiller Prize and Kabiller Young Investigator Award is June 22, 2015. Winners will be announced in August 2015. Additional nomination details can be found on the IIN website. Current Northwestern-affiliated researchers are not eligible for nomination until 2018 for the 2019 prizes.